Prescriptions are ready for collection within 48 hours. Should you wish to collect your medication directly from the chemist, your prescription can be collected on your behalf by Boots at Shawbirch. Lloyds chemists in Market Square and Chapel Lane, Wellington also offer this service as well as Morrisons supermarket. In person at the surgery - please place the right side of your previous prescription with the items ticked on it that you require. If you wish to use the Boots free prescription collection service please mark your script 'Boots' in the right hand corner. 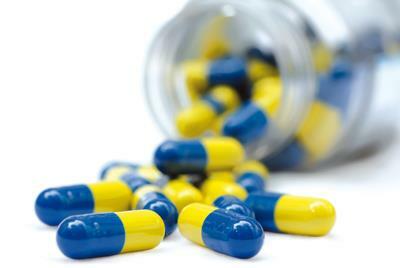 On-line - you can order your prescriptions online via the link at the top of this page. In order to use this service you must be registered first - please call the surgery or ask a receptionist for details at your next visit. Please note we do not accept telephone requests due to the possibility of errors. Prescriptions are ready for collection within 48 hours. Should you wish to collect your medication directly from the chemist, your prescription can be collected on your behalf by Boots at Shawbirch. Lloyds chemists in Market Square and Chapel Lane, Wellington also offer this service as well as Morrisons supermarket. The Medical Centre now also operates the NHS Electronic Prescription Service. When should I submit a repeat prescription and can I submit one early? Repeat prescription requests should not be submitted more than seven days before the day on which the last prescribed quantity of the medication will run out. If you need to submit a repeat prescription request earlier than would normally be expected and/or for a larger quantity than normally requested, please make sure you indicate why you are making the request earlier (e.g. you are going on holiday) and/or for the larger quantity (e.g. you will be holidaying for several weeks). If the reason for the early request is unknown, your prescription may be delayed in processing or rejected. If you will have to pay for four or more prescription items in three months, or more than 12 items in a year, you may find it cheaper to buy a PPC. 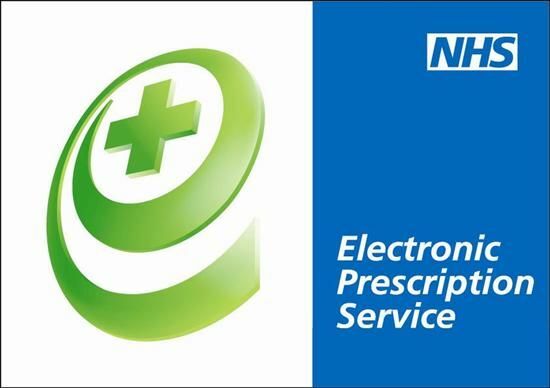 The Electronic Prescription Service (EPS) is an NHS service and was adopted by the Medical Centre in July 2015. It gives you the chance to change how the Medical Centre sends your prescription to the place you choose to get your medicines or appliances from. If you collect your repeat prescriptions from us you will not have to visit the Medical Centre to pick up your paper prescription. Instead, we will send it electronically to the place you choose, saving you time. don’t want to visit the Medical Centre every time to collect your repeat prescription. don’t get prescriptions very often. Ask any pharmacy or dispensing appliance contractor that offers EPS or the Medical Centre to add your nomination for you. You don’t need a computer to do this. Yes you can. If you don’t want your prescription to be sent electronically tell us. If you want to change or cancel your nomination speak to any pharmacist or dispensing appliance contractor that offers EPS, or the Medical Centre. Tell them before your next prescription is due or your prescription may be sent to the wrong place. Yes. Your electronic prescription will be seen by the same people in the Medical Centre, pharmacies and NHS prescription payment and fraud agencies that see your paper prescription now. Sometimes dispensers may see that you have nominated another dispenser. For example, if you forget who you have nominated and ask them to check or if you have nominated more than one dispenser. Dispensers will also see all the items on your reorder slip if you are on repeat prescriptions. You can complain to the pharmacy, dispensing appliance contractor or the Medical Centre. You can also complain to NHS England or their local NHS Clinical Commissioning Group (CCG) if your complaint cannot be resolved. For more information visit www.hscic.gov.uk/epspatients, your pharmacy or ask at the Medical Centre. Shawbirch Medical Centre is now using the NHS Prescription Ordering Direct (POD) service. This is an easy way for patients to order a repeat prescription. The service is available between 9am and 5pm on 01952 580350. All it takes is a simple phone call you can make from the comfort of your own home - there's no need to visit the Medical Centre. You will speak to a trained prescription co-ordinator who can discuss your needs, and as a consequence, you will only order medication when you need it. This will reduce potential waste and the savings realised will allow the NHS to fund other important services. Ordering your repeat prescription will be a quick and simple telephone call. You will be speaking to a dedicated person who will have time to answer any repeat prescription queries. The co-ordinator will ask you how you are getting on with your medication and will be able to alert you when a medicine review is needed. Why are we offering this new service? The aim is to ensure patients are receiving the correct quantity of medication they need in a timely manner to help to reduce the amount of medicine waste in the Telford and Wrekin area. Unused prescription medicines cost the NHS over £1million each year in Telford and Wrekin alone. To get the full benefit from the new service, we recommend you nominate a single pharmacy to receive your prescription from the Medical Centre. The details will be sent to the pharmacy electronically and this will eliminate the need to collect a paper prescription from the Medical Centre. Just contact the POD to request a repeat prescription which will be produced by the Medical Centre within 48 hours. Please allow the pharmacy time to prepare your prescription before collecting. This will be of particular benefit to those who currently find it difficult to pick up a prescription form from the surgery. Your nominated pharmacy can be nearer your home or place of work which will make it easier for you to collect your medication. Already use a pharmacy to order your repeat medication? No problem, you can use the same pharmacy. Your existing agreement with the pharmacy may need to be amended if they currently order prescriptions on your behalf but this can be organised for you by the POD. If you have a current arrangement with a pharmacy to deliver your prescription then this will still continue. Once you have made the telephone call, your prescription will be authorised by a doctor at Shawbirch Medical Centre and will then be sent to your nominated pharmacy within 48 hours. Will I still be able to use Patient Access online to order repeat prescriptions? Yes, the desktop website and the smartphone/tablet app will continue to have the functionality to allow you to order your repeat prescription online. If you use Patient Access please access the service once again after 48 hours to check your prescription has been processed. The Prescription Ordering Direct Service is available Monday to Friday 9am - 5pm by calling 01952 580350. THIS PROJECT HAS BEEN DEFERRED. The way patients receive advice and products relating to continence issues is changing. Continence specialist nurses from Shropshire Community Health NHS Trust are running a pilot scheme with Shawbirch Medical Centre to make it easier for patients to order and receive products. The Continence Service is running the project in partnership with Coloplast, a Peterborough based company which is a leading manufacturer of continence products. However, you will receive the most appropriate product for you, regardless of which company manufactures it.